More than 400 years ago, countless people risked their lives to give their people the Bible in English, culminating in the “King James Version” of 1611. But was their sacrifice worth it? And does it matter to us today? Delving into the study of history, language, cultures, archaeology, prophecy and the world today, Can We Still Believe the Bible? 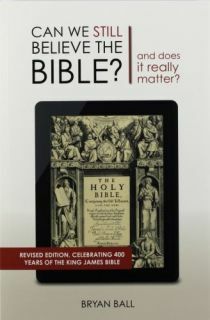 will take you on a journey through the strongest evidence available to answer these vital question.